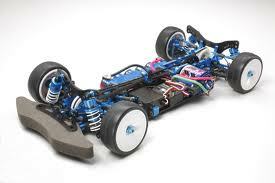 Radio controlled cars are usually designed to run on either on-road (i.e. tarmac) or off-road (i.e. dirt tracks). On-road RC cars are designed to run on smooth concrete or asphalt surfaces. Traditional on-road cars used a pan chassis, direct drive transmission, and foam tires. Touring cars make use of full suspension chassis, gearbox transmission, 4-wheel drive, and rubber tires. 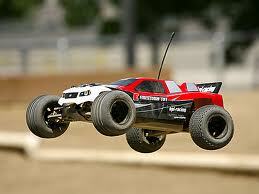 Off-road RC cars and trucks are designed to run on rough surfaces, such as gardens and dirt tracks. The cars are typically classified either as buggies, trucks, and monster trucks. Buggies use big rubber rear tires and thin front tires. Trucks use big rubber tires on all four wheels. And monster trucks use very large rubber tires and are the biggest of all radio controlled models. What RC car should I buy? If you are new to the hobby, try the off-road RC trucks. You can play them on the pavement or dirt tracks such as parks and gardens. They are also very durable and should give you years of fun. You can also buy RC monster trucks. The over sized tires allow these radio controlled beasts to run on any terrain. These are fun to play with especially on the sand! Which is the fastest RC car? If you are after pure speed, on-road RC cars are the best. Electric powered on-road RC car can reach speeds of 40 mph+, while the nitro powered cars can reach in excess of 70 mph- definitely not for beginners. 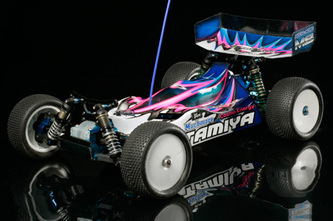 Good brands to buy from include: Tamiya, HPI, Team Associated, LOSI, Ansmann, plus loads more.